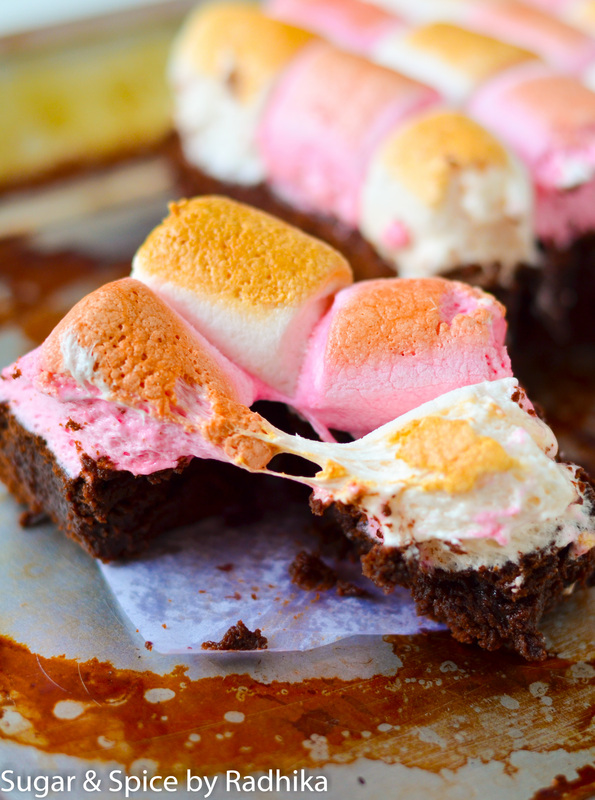 These toasted marshmallow topped super fudgy chocolate brownies will win over anyone. 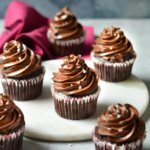 Try these out and you will not go back to eating a regular brownie again..and yes they’re eggless! 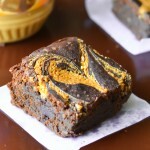 This brownie recipe is just like my peanut butter swirl brownie. The base is exactly the same..I’ve only changed the topping to marshmallows. 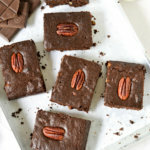 These brownies bake real fast and have no eggs in them, I put condensed milk to make them extra gooey in case you’re wondering. This is a double chocolate brownie, I’ve put cocoa powder and melted chocolate to make it extra chocolatey. The melted chocolate makes the brownie what it is. If you’ve ever wondered why your brownie turns out like a chocolate cake and not a fudgy brownie, try adding melted chocolate to it and you’ll see the difference. Try adding about 80 grams melted chocolate to every cup of flour and adjust it..if you’d like it to be more fudgy add 20 more grams. 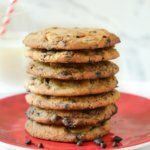 This recipe calls for 100 grams which is the perfect amount. You can use just about any marshmallows you have available..homemade, packaged, small, big, pink, white..any would do! I made a checkered pattern with pink and white marshmallows..you can do that or just go with white. If you don’t want so many marshmallows over your brownies, try snipping them in half lengthwise with a scissor and arrange them over the brownie. And like I always say..play with it..Do what you like. 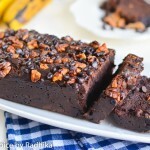 As long as the base recipe is the same..sky’s the limit to accessorizing this brownie. In a second bowl, whisk butter for a few minutes until light in color and fluffy. Add in the sugars and whisk again for a 3-4 minutes. Add in the condensed milk and whisk thoroughly for only a couple of minutes. Grease your pan and line the bottom with parchment or butter paper. Pour the brownie batter in the tin and smooth the surface with a spatula. Bake in the preheated oven for 25 minutes in the medium rack at 175 degrees Celsius. 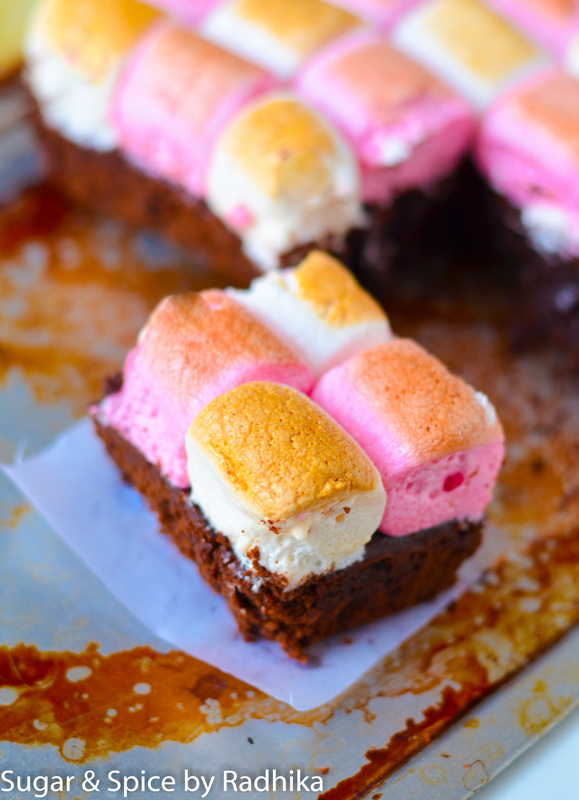 Take out your brownie 15 minutes into baking line and line it with marshmallows. Bake for the remaining 10 minutes and take out when done. Let the brownie cool a little bit before taking it out of the pan. Let it cool completely before cutting slices. Use a very sharp knife and dip it in warm water before cutting every slice to get neat finish. 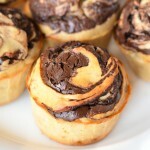 I’m pretty sure these would taste amazing! Oh Lori they taste so much more than just amazing! Haha I feel like a kid eating this.. The stretchy marshmallows are the best! Thank you! Thank you! 🙂 They made me happy too! Haha .. Apparently I have missed a lot of comments and this was one of them! Thank you so much for the award..and so sorry for not replying sooner! Eggless? How interesting. Must give these a try. They sure look drool worthy! Radhika, these look abs gorgeous!!! And you take good pictures too. I am so glad the recipe has no egg, will surely try…. my daughter and her friends are gonna love me more -haha. Thank you so much 🙂 you should try them sometime ! 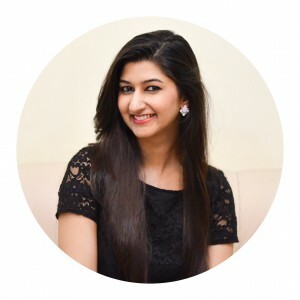 Would love to connect Radhika. 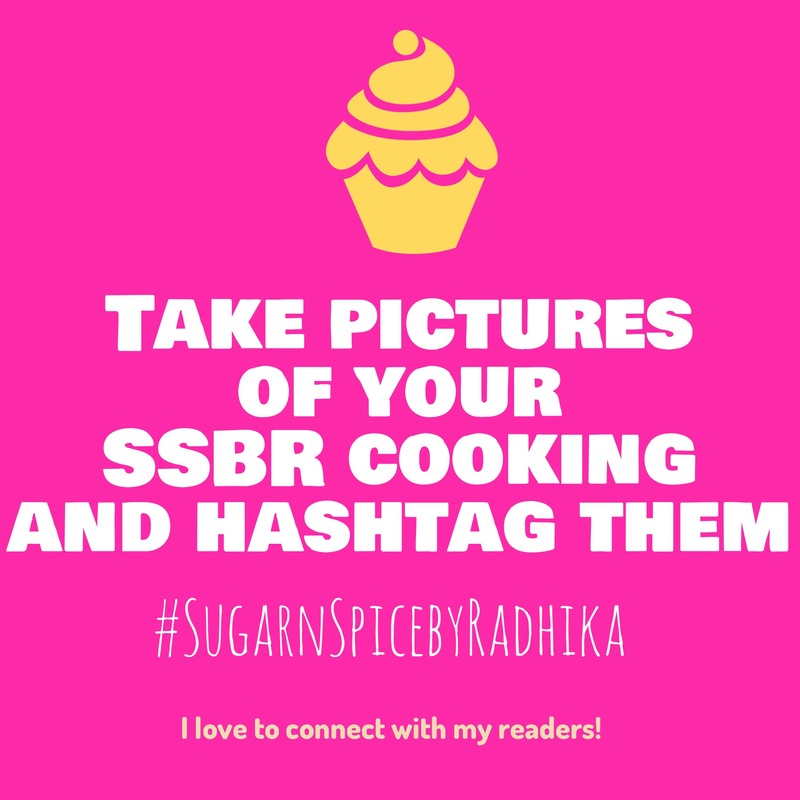 So do drop by my space at Sandhya’s Kitchen when you get a chance. PS I don’t think one can find a better dessert than this one! It has everything.. ! 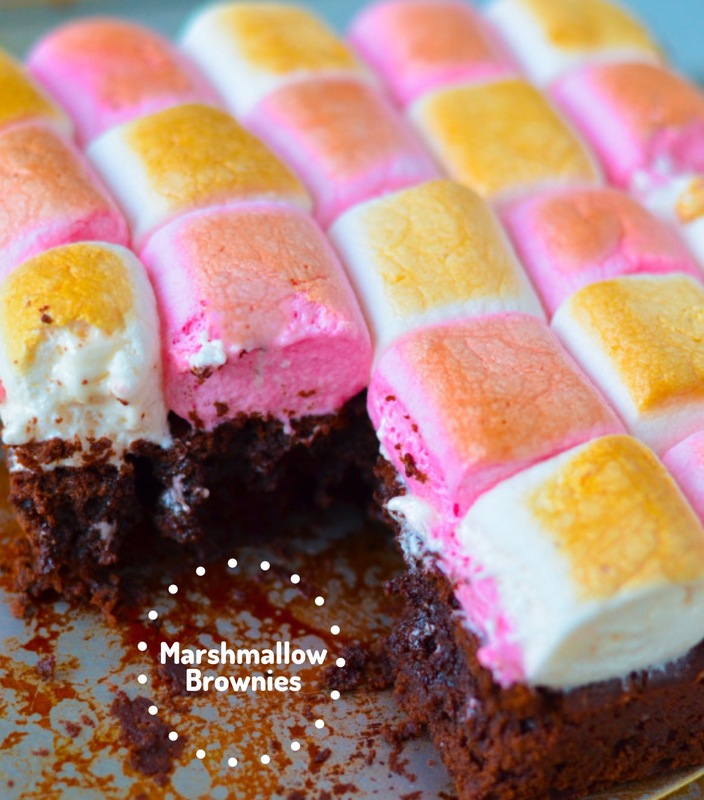 I LOVE the idea of topping brownies with toasted marshmallows, I must try this!! Well I started following you on instagram about 2 days back and i was instantly glued to ur page! This is my first visit to your blog and I feel like im in my happy place 🙂 in love with everything around here. And coming to this recipe which I am definitely gonna try this week, by condensed milk do you mean milkmaid?? This comment just made me so happy!!! 🙂 Thank you so much for all the lovely words.. Keep reading and coming back ! About the condensed milk.. Yes, I mean milkmaid. I use amul but you can easily use nestle. No issues with that! Thank u for d great recipes! 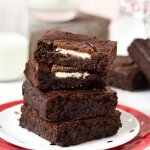 I’m a amateur baker and can’t wait to try out these marshmallow brownies. 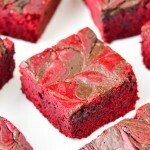 I tried your red velvet brownies too. Need a bit more practice to master them. Hi Sara! Ofcourse! Use a good cooking chocolate brand like Duke, Selbourne or Morde and transfer it to a glass bowl. You can choose to double boil if the microwave method does not work for you. If you don’t know how to set up a double boiler, go to the link below. Hope this helps! Please don’t hesitate to ask for more help! 🙂 Good luck! PS- Make sure that your chocolate is away from water at all costs, even a drop of water could seize your chocolate and make it unworkable. Dry your bowl completely before you transfer chocolate in it. Hi Shaina! I’ve never tried it but I don’t see why it shouldn’t work. 🙂 Let me know how it turns out.